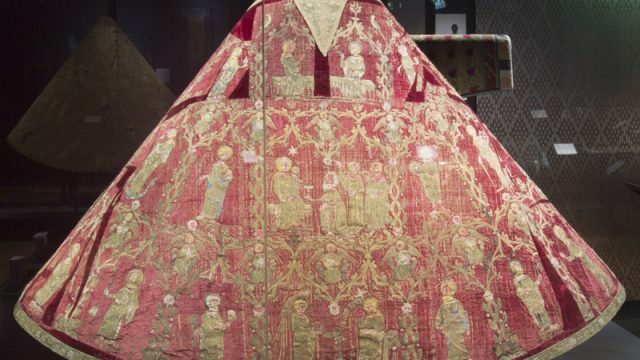 With such a strong focus on materials in the first part of the exhibition, we thought it would be a good thing for visitors to be able to feel the different textures of some of the fabrics on show. Clearly this isn’t possible with the actual museum objects, for which there is a strict ‘no touching’ rule, so we have gone shopping in India for new lengths of cloth for our handling samples table. 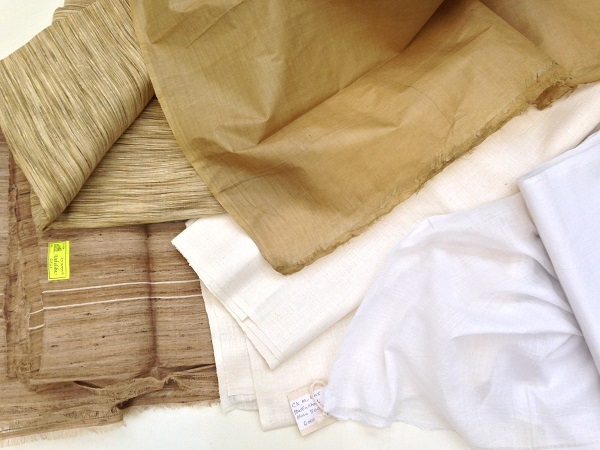 While our modest budget didn’t run to providing handling samples of every kind of cloth, we have sourced samples of the finest muslin, together with tasar, eri and muga silk. 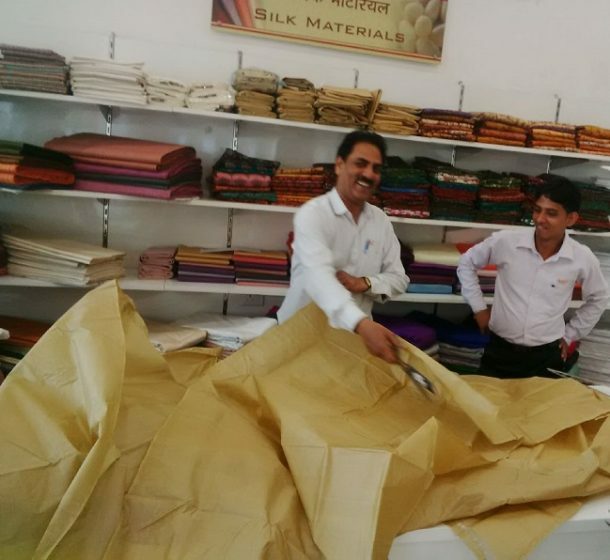 The range of silks found in India is a surprise to many people, who often assume that all silk yarn comes from the kind of silkworm that feeds off mulberry leaves (Bombyx mori), and which produces the fine, shiny cloth that we associate with the word ‘silky’. But this kind of silkworm is not native to India – it came originally from China and until fairly recent times has not been a major part of India’s silk industry. Instead, India has many indigenous silk-moths of its own, mainly from the genus Anthera, and many beautiful silk fabrics are woven from the yarns they produce. 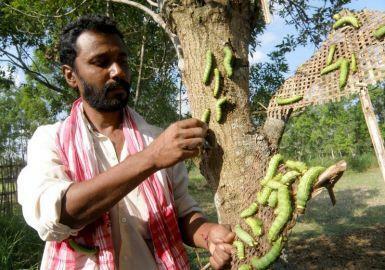 Some types of these huge moths and their massive green silk-worms are raised on specific types of trees in rural areas by local villagers, while others are now raised indoors. Traditionally, villagers would have gathered all the different types from the jungle and they are sometimes still known as ‘wild’ silks for this reason. These silk moths live in many parts of India, but they thrive especially in Assam and Odisha in eastern India, and Madhya Pradesh in central India. 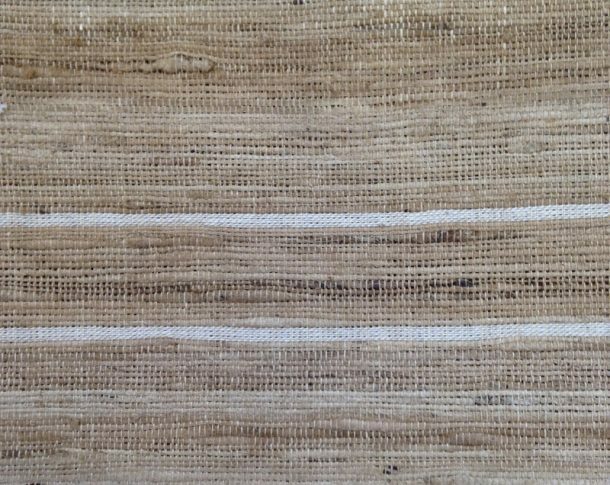 The silks the different moths produce are muga, which is naturally brownish in colour, with a hard, papery feel; eri or endi, from a naturally white cocoon and with a soft, almost woolly texture; and tasar, sometimes anglicised to ‘tussah’, with an uneven texture and naturally streaky colouration. We are also displaying the different types of silk yarn (but not for touching), a group which dramatically conveys how different these silks are, not only from mulberry silk but also from each other. 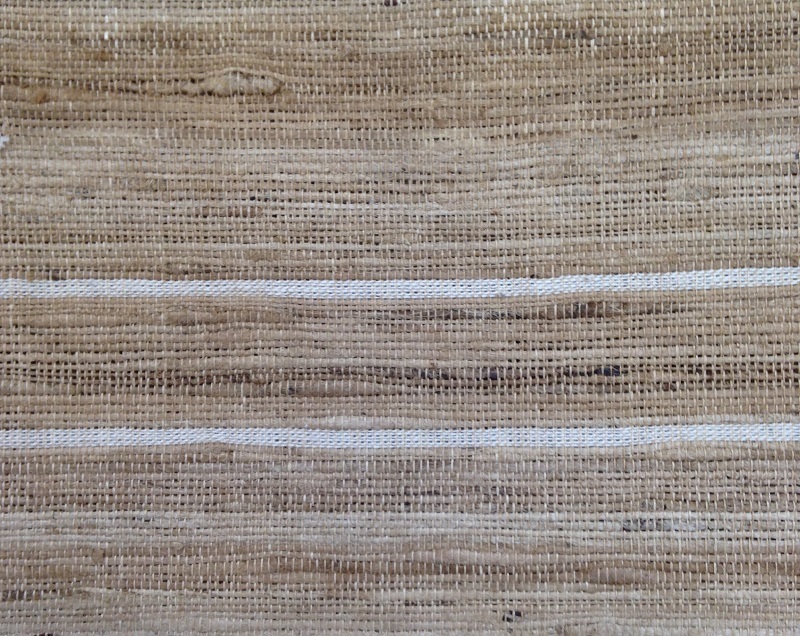 Group of silk skeins, L to R: mulberry silk waste (fesua); eri; machine-reeled muga; muga waste (gicha); semi-bleached tasar waste (gicha); tasar waste from the outer part of the cocoon (jhurri); tasar nassi yarn; tasar katia yarn. Spun in Madhya Pradesh from cocoons from Assam, Odisha and Madhya Pradesh. © Victoria and Albert Museum. 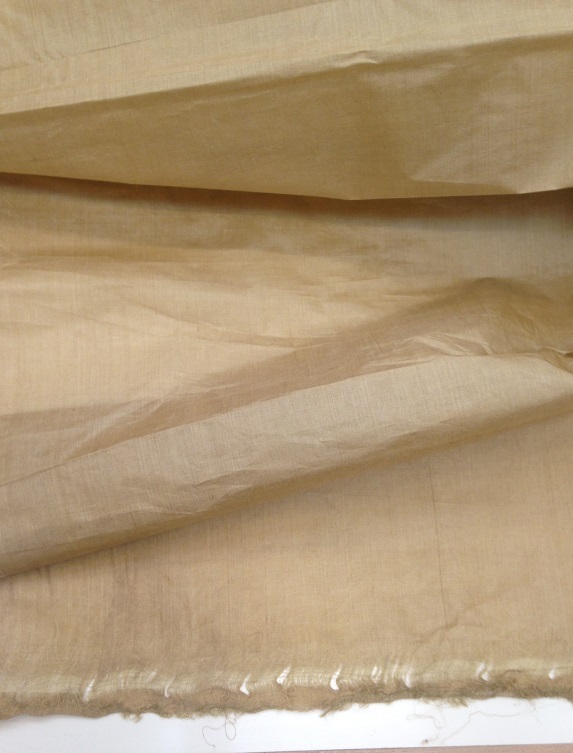 Alongside the silk handling samples we have some fine cotton muslin, which we hope will give an idea of the exquisite lightness that made this fabric prized throughout the world for centuries. 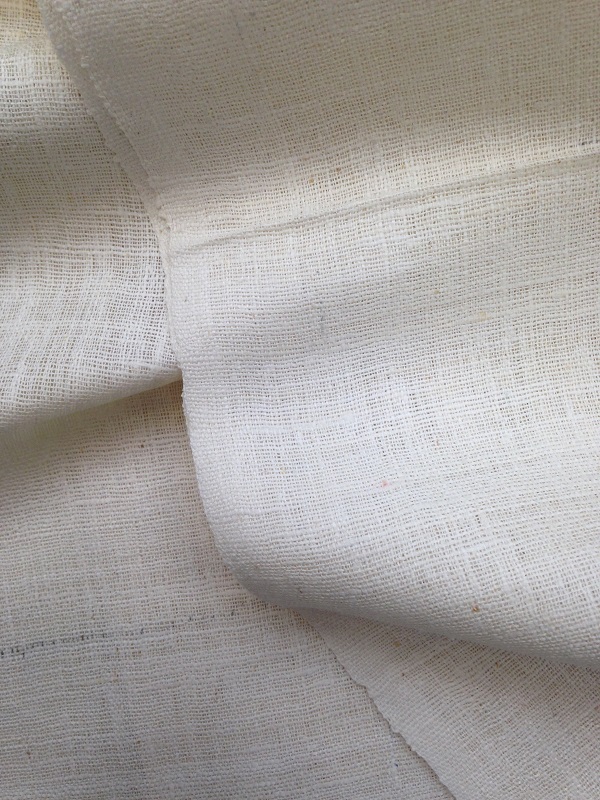 While it may never be possible to re-create the finest Bengali muslins of Mughal times and the 19th century, which were given poetic names like ‘evening dew’ , ‘flowing water’ and ‘woven air’, our handling sample, woven in Bengal, is of the ‘500-count’ category, the finest made in India today. 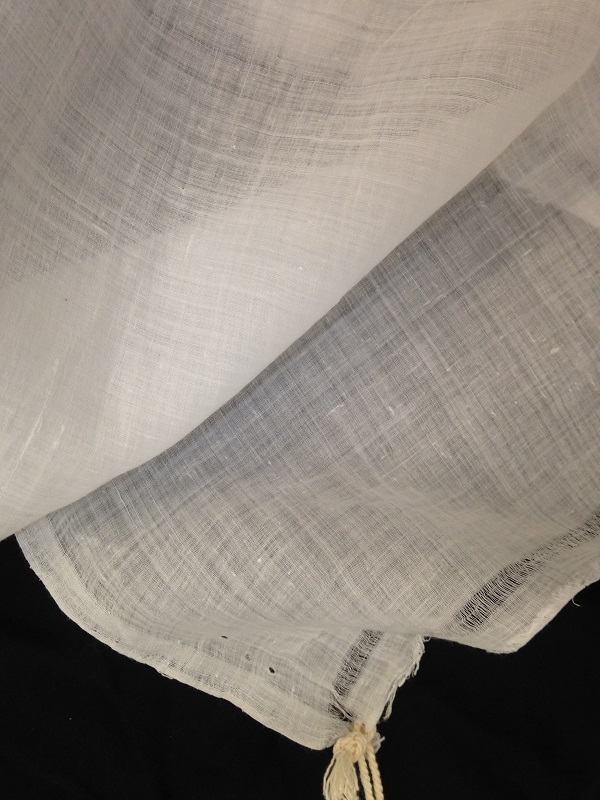 200-count is normally considered very fine, but historic muslins are thought have attained counts of 800 or even 1,000. These ‘count’ denominations are based on the weight of the fabric relative to its size, not simply the number of yarns in a given area. All these lengths will be cut up into A5-size samples ( a task we are gearing ourselves up for), and one piece of each fabric will be secured to our handling table. These will need to be replaced regularly – probably weekly, depending on how rough our visitors turn out to be with them – which adds up to quite a lot of cloth…. Thank you. It is quite fascinating. I buy silk from Indian so it is interesting to understand the context of its production and the variety of silks available. Hurray! I have been singing the praises of the non-bombyx silkmoths for years! As one or two of you will know!